I’m often asked how I came up with the concept to represent only homebuyers. Story time – though one less of intrigue than principle. In a previous life I worked for the Department of City Development (City of Milwaukee) as Assistant Director of Housing Services and briefly as Director of Housing Services. My job was to acquire and rehab homes and commercial buildings for use by non-profits that involved roughly 150 property purchases, 100 of which required major rehab. Negotiating the purchase of properties and working with architects, contractors, attorneys and government bodies served as my Masters of Real Estate. 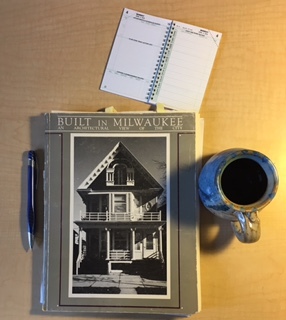 I also directed the original Historic Survey of Milwaukee’s housing stock that resulted in the book, Built in Milwaukee. Certain I’d never become head of the department, (it remains a political appointment) I quit my job and spent 5 weeks hitchhiking, bicycling and taking the bus and train around Ireland, England and Wales. On my return I visited Sanibel Island in Florida. Before leaving for my travels, I’d helped a number of friends acquire and rehab their homes. In Sanibel it dawned on me that no one worked for the buyer in the real-estate transaction. Agents worked (and still do) for the seller (even if they are nice to you). I sat on the beach with a yellow legal pad and wrote down all the conflicts of interest in the traditional real estate system that affects homebuyers negatively. From that, I crafted a process and system that works only for homebuyers – Homebuyer Associates. That concept – working only for homebuyers – has since been co-opted by the traditional real estate system. Now any agent can be a buyer agent but only Homebuyer Associates are full-time Exclusive Buyer Agents. 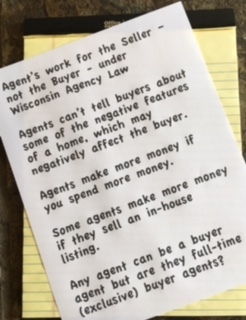 Whether or not you’ve heard of Homebuyer Associates (we don’t advertise) we are the most experienced buyer agents in the State of Wisconsin having helped over 2,000 people buy homes. If you perform a singular task working only for homebuyers – as we do – then you develop a distinctive competency. A distinctive competency is a competency unique to a business and superior in some aspect to the competencies of other organizations. Why, when people buy a car, do they know the salesperson doesn’t work for them, but when they buy a home, they think the agent works for them? 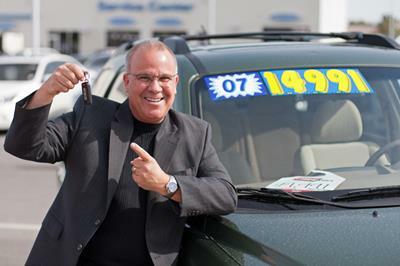 Each is selling something to you for some other entity: a dealership or homeowner. Look, in the end I know you just want to buy a home. If you’re not careful you may make a mistake that will cost you money, maybe a lot of money. You might even be sold the wrong home. It’s why I suggest you investigate the competencies of those involved in the transaction. Beyond real estate, investigate the competencies of your investment advisor, accountant, tax preparer and doctor – anything that affects your financial health or personal well-being. Now you know the background for my competencies. Next month I’ll write about Seamus Holloway’s set of competencies that add to the value proposition that is Homebuyer Associates. It’s why there is benefit to having coffee with either of us prior to starting your home search. It’s about competencies more than the real estate license that allows us to do what we do.